The environment around Horley in Surrey. Many poeple are concerned to protect the environment around Horley. 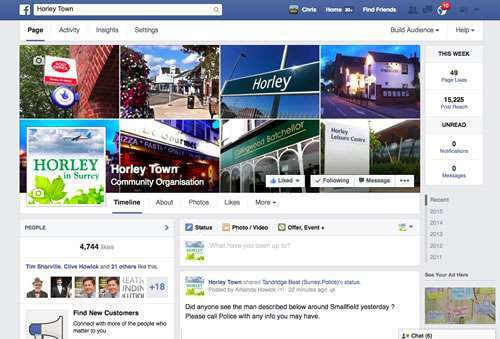 This page provides some information on recycling, environmental issues and developments that effect Horley and its surrounding villages. At our local recycling centre at Earlswood you can donate pre-owned items from your home or garden to be re-sold at the Revive Re-use Shop. This really helps reduce waste. It also helps support local charities. Friday to Sunday: 9.00 am to 3.45 pm. Pressure for development, housing and business will always exist in a thriving area such as Horley. The closeness of Horley to Gatwick Airport has created a thriving and busy environment. The nearby M23 and our busy road systems link areas of housing, business parks, villages and some very beautiful countryside. Here is some information on current projects, possible developments and matters of concern. The website for the Surrey Waste Partnership gives some useful information on everything from turning food waste into bio-gas to recycling furniture: visit the Surrey Waste Partnership website. The Reigate & Banstead website also has plenty of information on recycling. Earlswood Recycling & Waste Centre info. The Reigate & Banstead Borough Council website has a page where you can check what can be recycled and what to put in each waste bin. Recycling info. Visit the Recycle Now website and find out more about what can be recycled and how. Click here to see our maps of the Horley area, including a map showing the Green Belt around Horley. Click here to find out more about who is responsible for services in and around Horley and Surrey. Map showing the land in Smallfield put forward for assessment for possible development. If the areas marked in green are approved this would be a major development for Smallfield. Is this in Green Belt? Click here to visit the Tandridge District Council planning policy web page. More information can also be found on the Burstow Parish Council website. The UK Green Belt policy was established in 1955 primarily to stop urban sprawl. • Campaign to Protect Rural England. The Earlswood Centre is the closest recycling and waste centre to Horley. To find out the location and opening times of the Earlswood Community Recycling Centre click on the logo above to visit the Reigate & Banstead web page.